I am a wife, mother, Nana and Christian first. I graduated from UNCC with a BSN in Nursing and a minor in Psychology. The Varsity today. 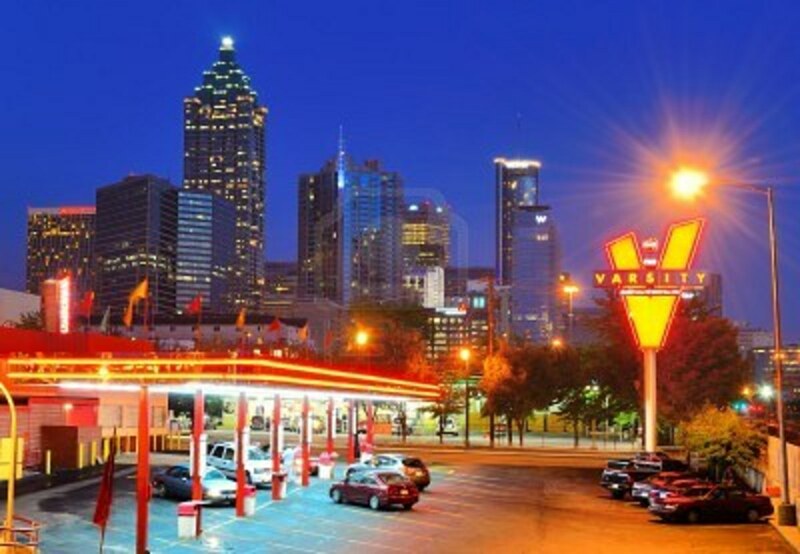 What began in 1928 has now become an Atlanta icon. My Grammer school and first church St. Thomas More Catholic School. The drive-in theatre my parents took us to. Grant Park Zoo Atlanta. I loved going here growing up. 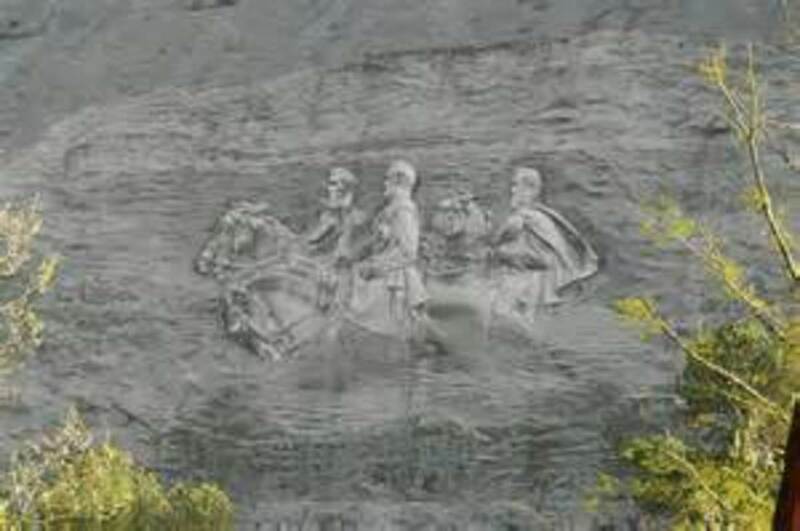 Stone Mountain Park. We would hike this mountain several times a year. 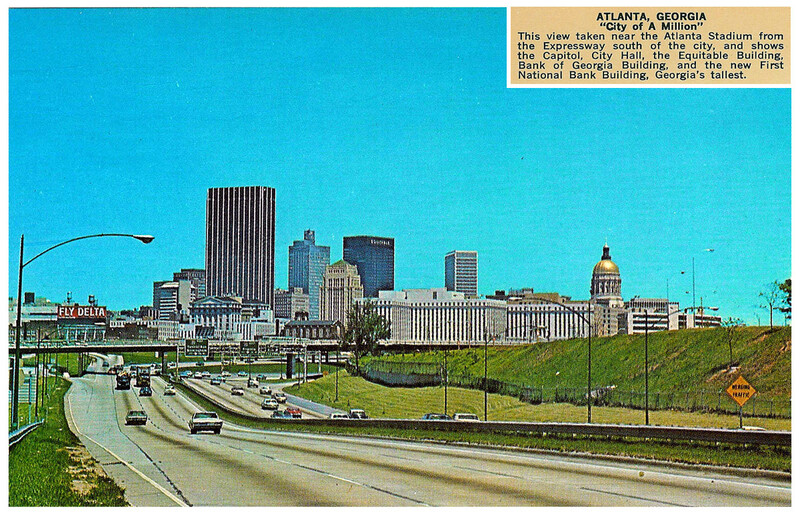 I grew up in a family of five girls in Decatur, a small suburb of Atlanta.. At the time Atlanta was a smaller city. We still had trolley cars, walked to the dime store and rode our bikes everywhere, no helmets available. It was a slower, simpler and in some ways happier time. Summer began for us around the first week of June. The season's big initiation for us was when our mom said we no longer had to where shoes outside. 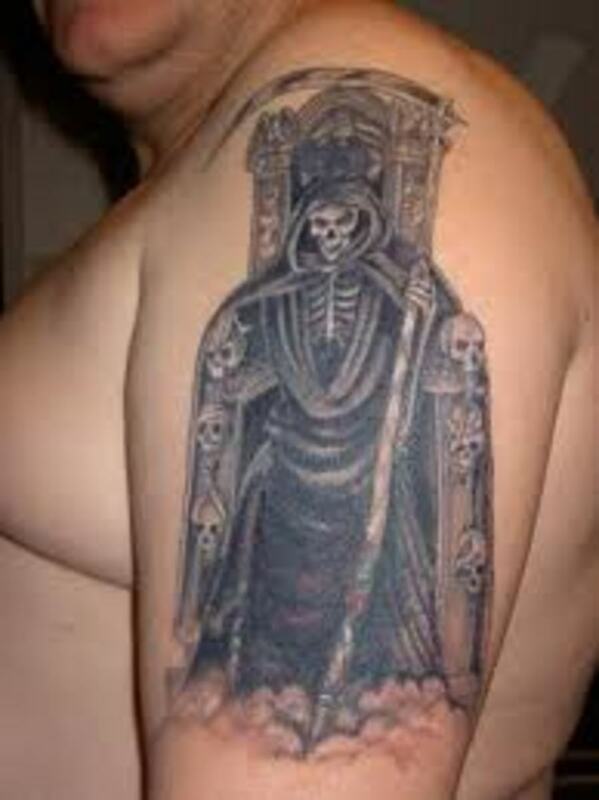 Why I was so taken by this I still don't know. I usually ended up with 3 stubbed toes before I ever made it down my driveway, but it was magical. Next came the fireflies or lightning bugs as we called them. What fun we had spending evenings trying to catch as many as we could. Mosquitoes never seemed to bother me back then although now they have a natural affinity for my bare flesh. We grew up without air conditioning but a fan in our window was fine with us . What fun it was to sing into our parents window air conditioner and feel the freezing cold against our skin after a long hot summer bath. A bath we certainly needed after playing all day usually outside, barefoot and fancy free. We would go from one week long activity til we were bored and on to another. Our house was at the end of a long street in the Cull-DE-sac with a huge yard and creek in the front so all the neighborhood children eventually ended up there in our yard. We would have our week long roller skating kick yes with, skate keys. Next we might move on to bike riding and when the summer heat got too bad we were into the creek building dams. Even though I had no brothers there were plenty of boys ready to build dams with us. Something my mother worried consistently about to the point of putting us through a full series of typhoid vaccines. Some of you from the area may know this creek Pea Vine. We lived right of Scott Blvd. Now you know my mother's concern. At the time pollution was not a problem but it is now. I was told later by my older sister that the creek did have snakes and maybe even rats in it but you never saw or heard from one in those days. If they were around they were too afraid of our neighborhood fun. The fun would really begin when our dam would blow a leak and everyone started to scream to save our child-made lake. Those were the most exciting days until one of our parents found us and we were scorned from the creek for a week or so till they forgot us. Farther up the creek we would find clay on the walls and make all kinds of pottery with it. There was no lack of creativity in our neck of the woods. Those were the days of endless creativity . My younger sister recently reminded me of the days we spent in our Dad's garage making homemade boats out of two pieces of wood, a nail, and a long string. I wonder if kids today even have time to get bored, daydream, or just dream up creative ideas like two boarded boats. The creek also came with a tunnel and if you were feeling brave and ventured far enough down the turns you would be rewarded with a wondrous waterfall called Cataract Falls, it is actually Durand Falls on Peavine Creek. . The rocks along the falls were slippery but the water was cool to our feet and added to our summer delight. We loved turning on the sprinkler or as we called it getting wet in the hose. Not so sure my Dad loved the water bill but with the closest pool being a long walk from our home it was nothing but pure fun to us. Oh the memories, cartoons in the morning, breakfast when we got hungry and if we ever did come in for lunch a pb and j or peanut butter and jelly sandwich was all we had time for. I for one loved following my older sister and her best friend across the street until they somehow managed to ditch me. My other reprieve on a long day when there was not a lot going on was to hang out with my younger sister and her best friend who lived next door and was a boy of all things. They often let me play. Being a middle child I could fit in on either end. Afternoons were sometimes filled with late afternoon TV, in black and white of course. My favorite show was either Leave it to Beaver or Yogi Bear depending on my mood. Friday nights were the best . We would get our bath early and head downstairs for The Flintstones which i learned later was actually started as an adult show. We never knew the difference. The most special treat came in a trip to the Dairy Queen with our dad for a chocolate dipped cone if we were especially lucky that night. There were often late evening softball games in our backyard but being a girl and not that athletic I never got into those games as much as my older sisters did. As the years passed Six Flag's Over Ga was built so there were usually trips there as well as trips to The Varsity usually by our Grandmother. Most summers we took a trip to the beach often to Jekyll Island and maybe a visit to lower South Carolina near Denmark to our Grandparents farm and a huge family reunion and fun days with all our cousins. My Great Grandfathers house was still on the farm with a "working outhouse" Hahah. Yes our summers were long but they were always fun and the memories will be with us for years to come. 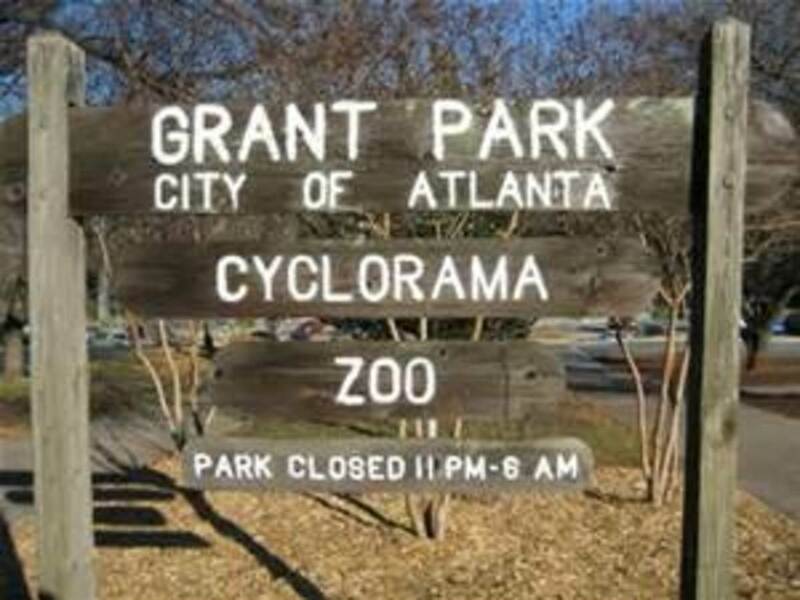 If anyone ever asks you yes Atlanta was different back then just ask one of my sisters!!!! Oh and a few years later a local YMCA was built just up the street, pool and all so we did learn to swim after all. 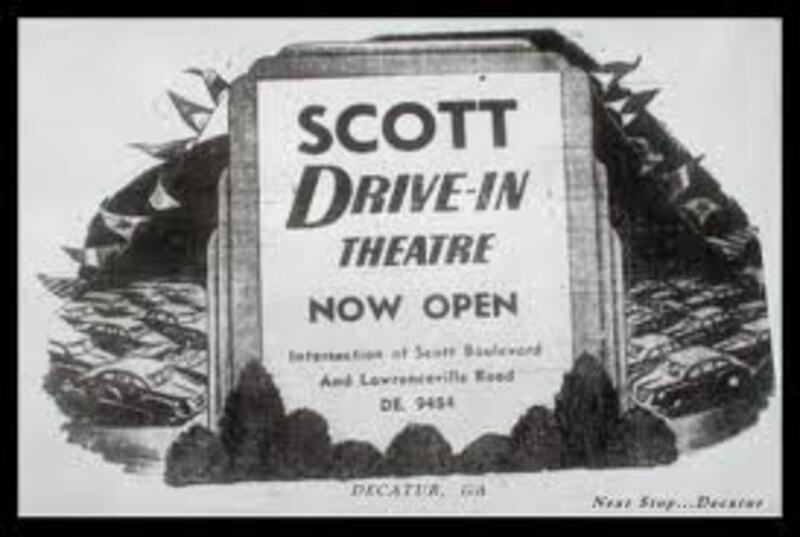 Usually there would be a trip to downtown Rich's, now Macy's, for school uniforms and once in a long while when my dad traveled our mom would take us to the drive-in theatre, Scott Theatre to be exact, with some friends, There was usually more playing than watching. Summers were longer back then. The days seemed to linger on and the first day of school never came before labor day. There was no fear of us losing time to education we managed to graduate from high school and most of us went on to college!!!! 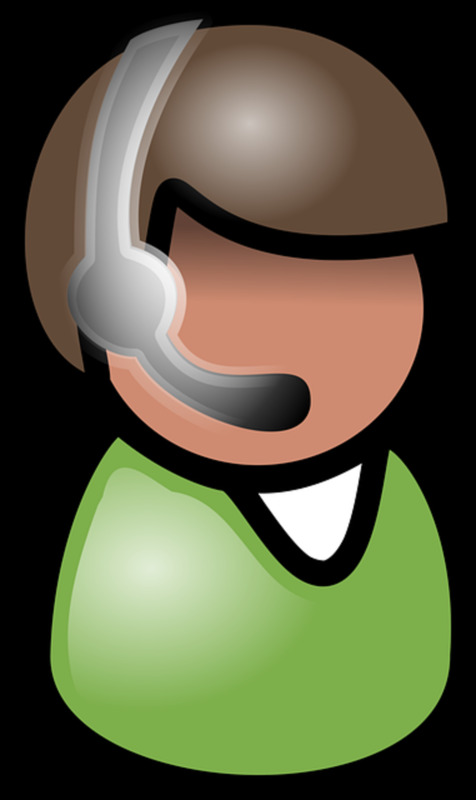 Hi Sharon We had some great times in Atlanta .Thanks for reading and commenting. Drive in movies at the drive in on Piedmont Road; playing outside until it was completely dark; day trips to Bishop's Lake where we swam until the sun went down, ate hamburgers cooked on the barbecue grill made out of cement blocks, and drank Coca-Colas out of the tradtional glass bottle. Sitting outside listening to the crickets chirping. And later, going to Sunday summer concerts in Piedmont Park, spending the day at Lake Lanier, going to Stone Mountain for the 4th of July fireworks.